Another very popular subject on this site is over-seeding of greens in Autumn. 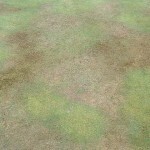 Over-seeding is commonly carried out as part of the autumn bowling green maintenance and renovation program and is very often a disappointment. 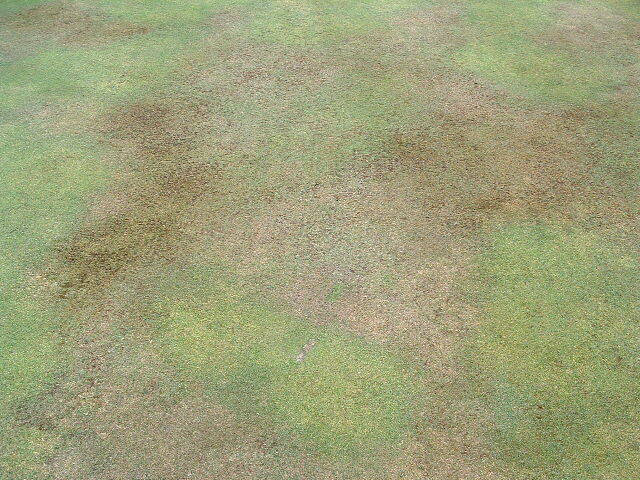 You would expect this work to quickly fill in the bare patches and spaces in the sward left by disease, localised dry patch and a host of other green problems, but this is very often not the case…why? The answer to most disappointing results from over-seeding is “competition”. Competition from the mature, indigenous grasses whether fine or weed grasses like annual meadow grass usually reduces the success or survival rate from over-seeding to a very small percentage. This quite often comes as a surprise to greenkeepers who have observed a very good “take” shortly after seeding (7-14 days). At this early stage it is not uncommon to see vigorous lines of dense new seedlings bursting forth from the green. This however, is usually a false reading. Leading on from my previous article on over-seeding and the new over-seeding fact sheet , I have received a few enquiries about over-seeding of bowling greens this week. A common question is about over-seeding rates, or how much seed to use. There is of course no right or wrong answer to this as the rate can be adjusted to suit conditions, required effect etc. So in some circumstances it might be necessary to over-seed very heavily to ensure a thick enough sward on a bare area for example. At other times when using a particularly specialist seed mix the rate might be very light indeed. As a general guide if you are using a traditional 80% fescue and 20% bent grass mix, then I would normally recommend a rate of 15-20g/m2. Over a typical green of around 1400m2 the lower end of this scale would use about 1 full commercial bag of seed. If a more specialist all bent grass over-seeding mix was being used then the application would go down to about 8g/m2 to reflect the major difference in seed size and weight. It’s always best to try to divide the application into two passes with the machine as this helps to avoid missed areas and gives a more uniform finish. This is all the more important when using all bent mixtures as you can’t actually see the seed once it’s been applied due to its size. Choose a high quality seed mix which utilises cultivars from near the top of the STRI turfgrass manual. Calibrate machinery accurately as even a small error in adjustment can waste a lot of expensive seed. Always apply seed into rather than onto the bowling green surface. Heavy sowings can encourage Damping Off disease so take care. Always apply seed in at least two passes in different directions.